Legal land description - state, county, township, range, meridian, section, aliquot parts, block, survey number, etc. 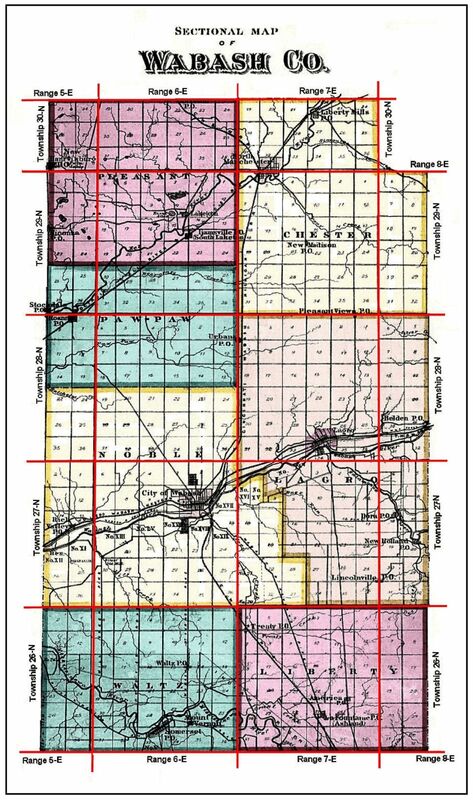 You can locate these land patents on this Wabash Township Map using the below Twp, Range and Section information. Copies of the original land patents can be obtained at the BLM General Land Office Records web site. Click on "Search Land Patents", "Standard" tab, enter the name and select Wabash county. Images can be saved and printed.